For the reasons set forth above, the district court’s final order is AFFIRMED with respect to: the basic registration requirement as applied to long guns, D.C. Code §7- 2502.01(a); the requirement that a registrant be fingerprinted and photographed and make a personal appearance to register a firearm, D.C. Code § 7-2502.04; the requirement that an individual pay certain fees associated with the registration of a firearm, D.C. Code § 7-2502.05; and the requirement that registrants complete a firearms safety and training course, D.C. Code § 7-2502.03(a)(13). 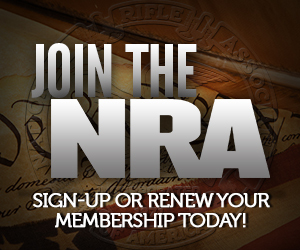 The district court’s order is REVERSED with respect to the requirement that a person bring with him the firearm to be registered, D.C. Code § 7- 2502.04(c); the requirement that a gun owner re-register his firearm every three years, D.C. Code §7-2502.07a; the requirement that conditions registration of a firearm upon passing a test of knowledge of the District’s firearms laws, D.C. Code §7-2502.03(a)(10); and the prohibition on registration of “more than one pistol per registrant during any 30-day period,” D.C. Code § 7-2502.03(e). Mixed bag, really. I’d probably not want to file cert on this case unless there’s a change on the Supreme Court that would make it stronger on the Second Amendment. It would be risky taking a case challenging these issues forward. Chicago Going from Ban to Circus? Probably most notable is striking down one gun a month registration, which is pervasive in liberal areas. I agree about the risk of an appeal to SCOTUS. But that brings up the question, how likely is D.C. to appeal on the issues it lost on? I’d say unlikely. I wouldn’t if I were them. Yeah, but from their perspective, what did they have to lose? They’d already lost the case in the lower courts, so at the very worst, the situation for them (DC) didn’t change when they lost in the Supreme Court. It was a huge loss for gun control nationally, but DC didn’t necessarily care about the nation as a whole, just its own jurisdiction. Perhaps we should lobby for registration and training for other rights as well. Require registration for speech, and perhaps require that jurors have a degree in criminal justice. And their favorite comparison “developed” countries in Europe mostly have tougher voter ID laws than we do, so the hypocrisy charge, voting vs guns, hangs over them. This is a win. It was struck as unconstitutional which are strong words, especially as the District court said DC laws were legal. Remember this is the Circuit that Harry Reid stacked.Dc will not appeal last time they lost the collectivist theory. There is still the carry case to be decided by the Circuit Ct also. Heller could appeal the portions of law that were sustained. Appeals go both ways, and he and his team were clear they intended to go all the way if needed. In Heller I, many say Scalia’s majority all but requested a case arguing for and against licenses for possession (it was in a footnote). That was upheld as lawful here. Heller could appeal it. DC’s arguments (and the appeals court ruling) hinge on the boundary between public safety (as viewed by the government) and a core right. Guidance from the high court there would shade many, many gun cases for years to come. SCOTUS has shied from carry cases. Wonder if they’d bite on one that is not carry related? I don’t think the current SCOTUS will take ANY 2A case at this point. It’s been clear for some time that at least one of the majority justices in Heller/McDonald will not vote to certify another 2A case. I’ve laid out my reasoning why I think it’s the Chief and only the Chief before, but it really doesn’t matter. The 4 votes to certify aren’t there.